We provide a full range of orthopaedic surgery - including hip replacements, sports medicine and upper and lower joint specialties. Our first class orthopaedic services are provided at the state-of-the-art Cheshire and Merseyside Treatment Centre building at Halton Genera l Hospital, Runcorn. The Cheshire and Merseyside Treatment Centre is a purpose built orthopaedic hospital centre with 44 inpatient beds, four operating theatres, dedicated day ward, physiotherapy gym, outpatient and full CT, MRI, x-ray and ultrasound scanning facilities. Our team of 12 orthopaedic consultants are based at the centre and provide a full range of orthopaedic surgery - including hip and knee replacements, sports medicine, upper limb (shoulder, elbow, wrist and hand) and lower limb (keyhole surgery for hip and knee, foot and ankle surgery). The facility was brought into use by the trust in January 2013 as our home for orthopaedic surgery. Why should you choose our orthopaedic surgery services? We are within easy travel time from across Cheshire and Merseyside. 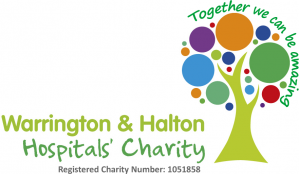 We also have a free shuttle bus to the centre from Warrington Hospital. Although the Cheshire and Merseyside Treatment Centre is our home for all routine orthopaedic surgery, we still provide outpatient appointments at Warrington Hospital as well as at the centre. This means you can have your initial appointment close to home in most cases before coming to the centre for surgery. Cafe, spacious waiting area and other facilities with easy parking right outside the centre. Our team of 14 orthopaedic consultants are based at the centre and provide a full range of orthopaedic surgery. They work alongside a specialist orthopaedic nursing team as well as physiotherapists, theatre staff and support teams to provide you with the best in orthopaedic care. Your GP can refer you to our orthopaedic services via Choose and Book. We also accept referral from other health professionals. We accept referrals from across the country for our specialist services as well as locally.